NOW DOING BACKFLOW PREVENTION TESTING! 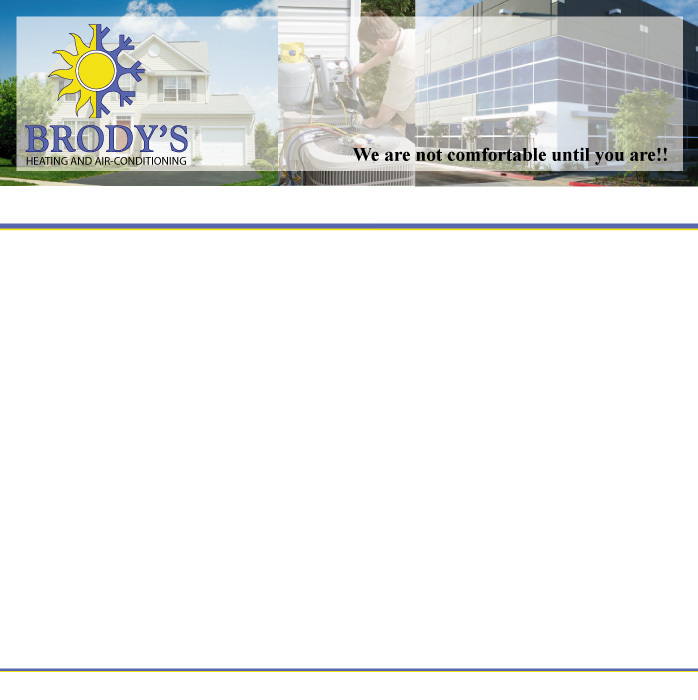 Brody's Heating and Air-Condition has been in business since 1983. The compnay was founded By Bill Brody in 1983 in Brentwood, Pa.
Bill still does most of the calls and designs the duct work for furnaces, etc. We are FULLY INSURED and Offer FREE ESTIMATES!